This is the latest CD by my good friend Audrey Johnson, and Murray Benjamin. I blogged about their previous CD last year, this is volume 2. It's equally jolly and full of lovely French songs for children. 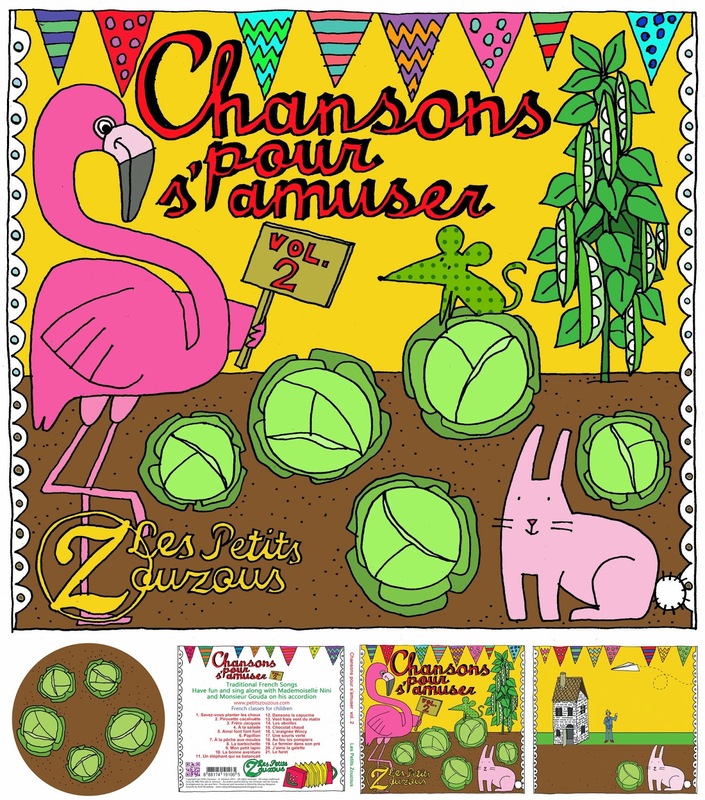 I designed the cover - It was a pleasure to do; who doesn't want to illustrate a bright pink flamingo in a cabbage patch for their job!! 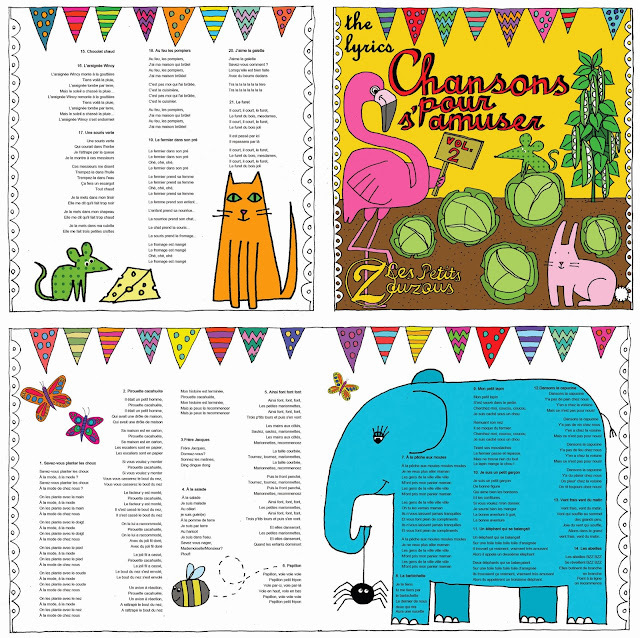 The images show many of the characters from the songs and the Zouzous mascot, Fifi the flamingo.